Product information "Rubber cover profile (slot 8) 32x4, material: NBR, colour: black"
The cover made ​​of nitrile rubber (NBR), is particularly suitable as protection profile for the profile surface or as a non-slip pad, such as in steps. It is oil-and water-resistant. The cover profile must press with the T-slot nose from above of the T-slot opening, so that completely surrounds the T-slot portion. As a mounting aid a rubber mallet can be used. 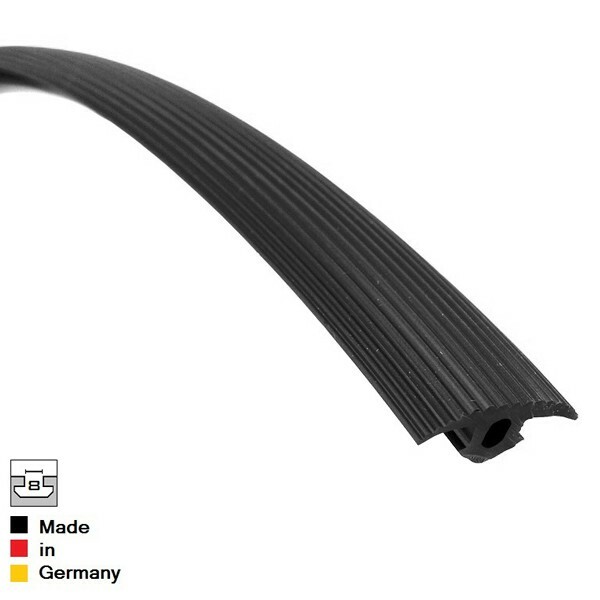 Related links to "Rubber cover profile (slot 8) 32x4, material: NBR, colour: black"
Customer evaluation for "Rubber cover profile (slot 8) 32x4, material: NBR, colour: black"